An apprentice is in a critical condition after collapsing due to heat stress on a building site in Adelaide. In just his third day on the job the 17-year-old was rushed to hospital on Wednesday after falling victim to the worst heatwave Adelaide has experienced during December since official records started. “He has issues with his kidneys at the moment,” Cartledge said. Severe to extreme #heatwave developing in SE Australia over the weekend. Cooler next week. 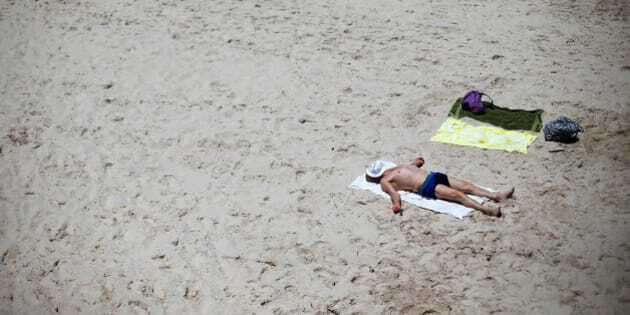 Today, temperatures are tipped to hit 42 degrees in Adelaide. The heat is expected to continue over the weekend before cooling on Monday. The State Emergency Service has issued an extreme heat warning and is urging the public to exercise extreme care during the heatwave. “There have been significant SA Ambulance call outs and an increase in people presenting to Adelaide metropolitan hospitals, some suffering from heat associated illness,” the SES said in a statement. 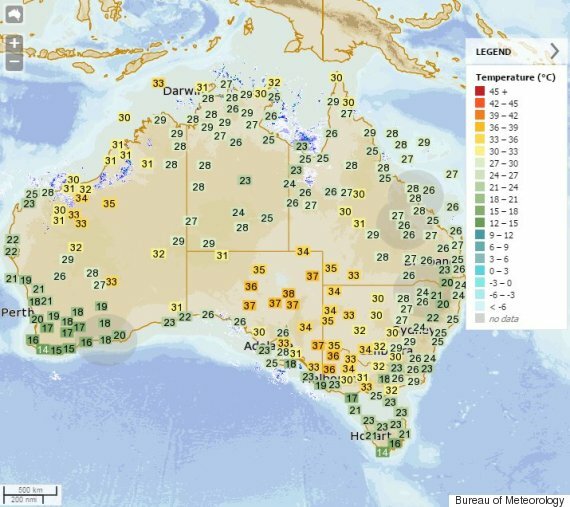 On Thursday afternoon the mercury reached 42.9 degrees and senior forecaster Mark Anolak predicts the extreme heat won’t be easing any time soon. "I imagine we'll see a temperature rocket up to the mid to high-30s very quickly today and then sort of plateau around about the high-30s and then 40 degrees for most of the day, spiking at 42 degrees in the afternoon," he said. "Currently the high over the Tasman Sea is really stationary and that's resulting in hot, dry northerly winds across South Australia." Melbourne is also experiencing hot December conditions, with temperatures set to hit 37 degrees today. Both South Australia and Victoria’s fire services have issued complete fire bans and severe fire warnings for several regions. "We've had hot conditions all week in northern parts of Victoria, the conditions have changed yet again, they are now tinder dry," Emergency Management Commissioner Craig Lapsley said..
"We are now seeing all of the fuels, whether it be grasslands or bush drying to the point where they will carry extensive fire, intense fire, fire that will do damage in the state." The SES is urging South Australian residents to follow emergency services instructions and has issued a list of precautions people should take. Among recommendations, the SES said people should make contact with elderly relatives, friends and neighbours to make sure they were okay during the heat. The SES also said people should stay inside and close curtains and windows during the day, before opening up homes at night if cooler winds came through. For people without access to air-conditioning or cooling, emergency services recommend visiting public facilities that are cooled, including shopping centres, cinemas and libraries. The RSPCA has also published a list of instructions to follow to ensure pets keep cool during the heatwave too.